There was a believing that longer bodies are more aerodynamic and are therefore better for faster tracks. So, a 908 Flunder Spyder with longer tail was created. The longtail Spyders were created only with the Flunder body, not with the "normal" Spyder body. Very few cars were created, both with 908/02 and 908/01 chassis numbers. A 908 LH Flunder Spyder was first used at the 1969 Le Mans 24H race by Jo Siffert/Brian Redman, but they had to retire because of the gearbox failure. 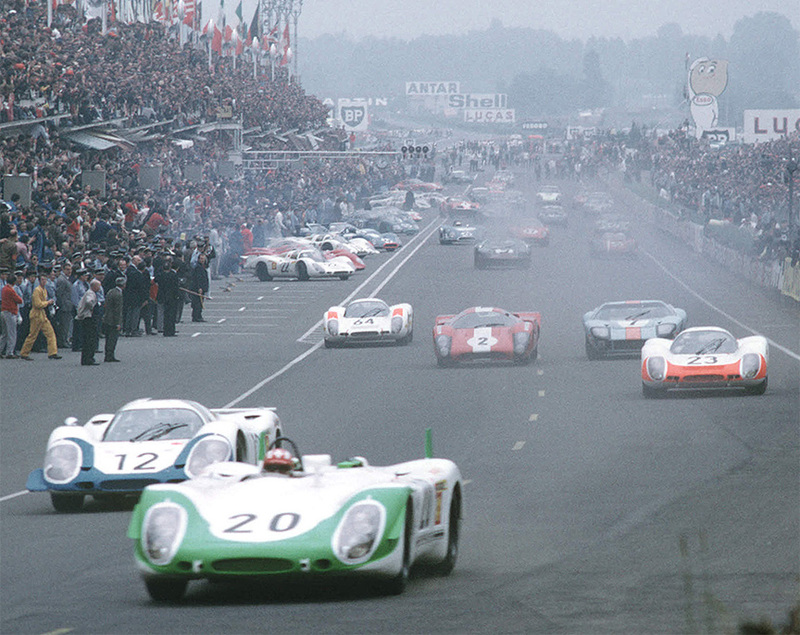 The only notable result for the 908 LH Spyder came in 1970 at Le Mans, where Rudi Lins/Helmut Marko drove the car to 3rd place after two 917s to complete the perfect 1-2-3 finish for Porsche. 908 LH Flunder Spyders were used in a few races, but many accidents killed their chances. The cars were available with and without rear fins (in addition to standard rear flaps).